Manna commercial laundry equipment utilizes factory trained service technicians with 24 years of experience in servicing your hotel hospital laundry equipment or Commercial laundry equipment and OPL, Coin Op Laundry room or Laundromats to keep it running smooth and in good working order. If you experience a problem or are just not sure, just call and ask. "Service is Our Business," and our service will earn our customers' business every day. We fix it fast & right the first time. Manna commercial laundry equipment services a wide range of commercial OPL, Coin Op Laundry room or Laundromat equipment to meet the needs of clients like hotels, hospitals, Laundromat, car wash, on-premise laundry for Health Clubs, Out-Patient Centers, Nursing Homes, Assisted Living, Resorts Properties and Schools and Universities. Manna Commercial Laundromat Equipment Repair service will keep your Commercial laundry equipment or OPL, Coin Op Laundry room or Laundromat running smooth and in good working order. At Manna, we can service a wide selection of commercial washing machines and gas or electric Commercial Laundromat dryers. Proper maintenance is essential to prolonging the life of your commercial Laundromat washers, Dryers and other commercial Laundromat machines. Keeping up with repairs will keep your Laundromat service running smooth and keep you profitable. Manna commercial laundry equipment offers scheduled maintenance programs to reduce the risk of breakdowns, minimize energy use and emergency repairs. Our service vehicles are fully stocked with a huge inventory of the most common parts to get your Commercial Laundry Laundromat Equipment up and running as soon as possible. 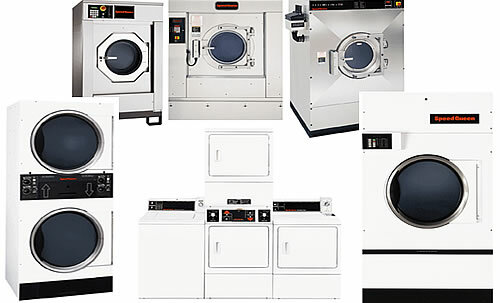 Manna Commercial Laundry Equipment Repair services Commercial Laundry facilities OPL and Coin-op laundry equipment like Milnor, Unimac, Continental Girbau, American Dryer, Chicago, Sharper Finish, B&C, Ipso, Cissell, Speed Queen, Huebsch and Wascomat. Our service area for Commercial Laundromat Equipment Repair service includes North New Jersey and Central New Jersey, Orange county NY and Rockland county NY as well as Eastern Pennsylvania. Manna commercial laundry equipment offers scheduled maintenance programs to reduce the risk of breakdowns, minimize energy use and emergency repairs. Proper maintenance is essential to prolonging the life of your Commercial Laundromat dryer. A dryer that is in good working order can optimize your customers visit and make daily operations more convenient as well as maintaining a safe environment for your customers and employees. Proper maintenance is essential to prolonging the life of your commercial washers, Dryers and other commercial Laundromat machines. Keeping up with repairs will keep your Laundromat service running smooth and keep you profitable. Manna Commercial Laundry Equipment Repair service will keep your Commercial hotel and hospital Laundry dryer running smooth and can service a wide selection of commercial gas and electric Commercial Laundromat OPL and Coin-op laundry equipment like Milnor Dryer, Unimac Dryer, Speed Queen Dryer, Cissell Dryer, Huebsch Dryer, Wascomat Dryer, Continental Dryer, Girbau Dryer, American Dryer, Chicago Dryer, Sharper Finish Dryer, B&C Dryer, and Ipso Dryer Commercial Laundromat Dryers in the New York City, Eastern Pennsylvania and New Jersey area. 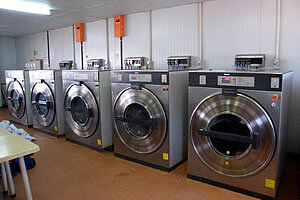 Our factory trained Laundromat service technicians with 24 yrs. 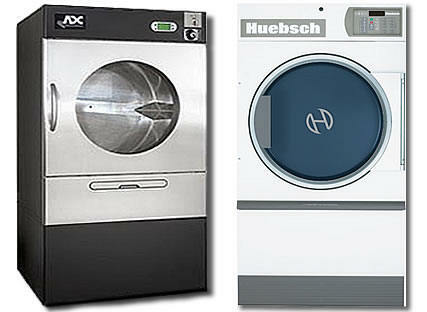 experience will get your Commercial Laundromat dryer equipment fixed fast and right the first time. If you experience a problem or are just not sure, just call and ask. 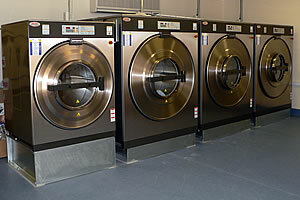 "Laundromat Service is Our Business," and our service will earn our customers' business every day. 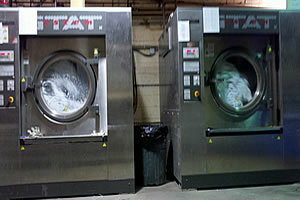 We service hotel and hospital Laundry Equipment and a wide range of commercial gas and electric Commercial Laundromat dryers to meet the needs of clients like hotel, hospital, Laundromat, car wash, on-premise laundry, Health Clubs, Out-Patient Centers, Nursing Homes, Assisted Living, Resorts Properties and Schools and Universities. Proper maintenance is essential to prolonging the life of your Commercial Laundromat washer - extractor. Making early repairs to a damaged washer will help maintain a safe environment for everyone from customers to employees at your hotel, hospital, or other business or institution. Manna Commercial Laundry Equipment Repair service provides you quality repair service for market leading Commercial Laundromat washing machines with Cost-effective and Stylish machines for the commercial, industrial and coin-operated washing machines that we service like Milnor washing machine, Unimac washing machine, Continental Girbau washing machine, American Dryer, Chicago washing machine, Sharper Finish washing machine, B&C, Ipso, Cissell, Speed Queen washing machine, Huebsch washing machine and Wascomat washing machine. Whatever your industry sector, and whatever your requirements, our service factory trained service technicians enable us to get your laundry operation up and running. Commercial Laundromat or hotel and hospital washer, washing machine service or repair is most often the more cost-effective way and much faster than replacing the washing machine. Manna will help you keep your Commercial hotel and hospital Laundry washing machine - extractor in service for years to come. At Manna Commercial laundry service, we offer a scheduled maintenance program to reduce the risk of breakdowns, minimize energy use and emergency repairs. Proper maintenance is essential to prolonging the life of your Commercial Laundry Equipment. Making early repairs to your Commercial Laundry Equipment will help maintain a safe environment for everyone from customers to employees at your hotel, hospital, or other business or institution. 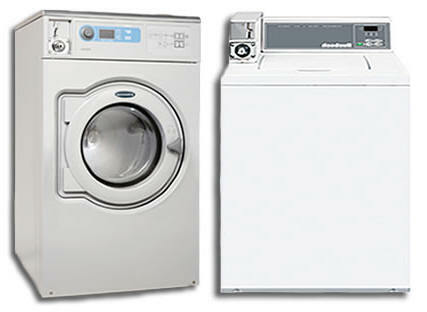 Our Scheduled maintenance program includes name brand Commercial Laundry Equipment like Milnor, Unimac, Continental Girbau, American Dryer, Chicago, Sharper Finish, B&C, Ipso, Cissell, Speed Queen, Huebsch and Wascomat, and just about any on premise, OPL, Coin Op Laundry room or Commercial Laundry Equipment used in hotels, hospitals, Laundromat, car wash, on-premise laundry for Health Clubs, Out-Patient Centers, Nursing Homes, Assisted Living, Resorts Properties and Schools and Universities. Our repair service vehicles are fully stocked with a huge inventory of the most common Commercial Laundry Equipment parts to get your Commercial Laundry Equipment up and running as soon as possible. Our service area for Commercial Laundry Equipment Repair service includes North New Jersey and Central New Jersey, Orange county NY and Rockland county NY as well as Eastern Pennsylvania. Hotel and Hospital Laundry Equipment Repair. Our repair service vehicles are fully stocked with a huge inventory of the most common Commercial Laundry Equipment parts to get your Commercial Laundry Equipment up and running as soon as possible. Our service area for Commercial Laundry Equipment Repair service includes North New Jersey and Central New Jersey, Orange county NY and Rockland county NY as well as Eastern Pennsylvania, we service just about any on premise, OPL, Coin Op Laundry room or Commercial Laundry Equipment used in hotels, hospitals, Laundromat, car wash, on-premise laundry for Health Clubs, Out-Patient Centers, Nursing Homes, Assisted Living, Resorts Properties and Schools and Universities.